Now this is how it’s done ! In March, we’d written about the controversial Ford Figo ads on this blog, a mistimed and insensitive attempt at using humour to increase sales and / or win an award. 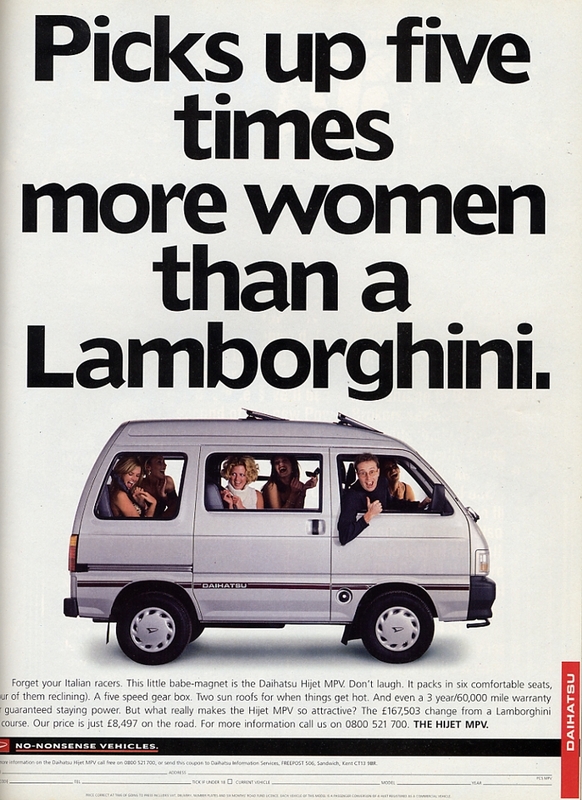 Recently came across this Daihatsu ad from a few years ago that conveyed a similar message but in a manner that was actually funny and cute. The ad was quite well-received at the time, am now wondering whether I should add lack of originality to the Forg Figo communication team’s list of sins – were they just imitating the Daihatsu ad and taking its basic premise a bit further ? In case you have more time, busy reader, you can amuse yourself by taking a look at all the car ads shown in this list of ten best automotive print ads of all time. Entry filed under: Advertisements, Communication, Observations. Tags: ad campaigns, branding, cars, Daihatsu, Ford. It is, isn’t it ? Though some of the other ads in the list of ten best car ads are rather funny too.